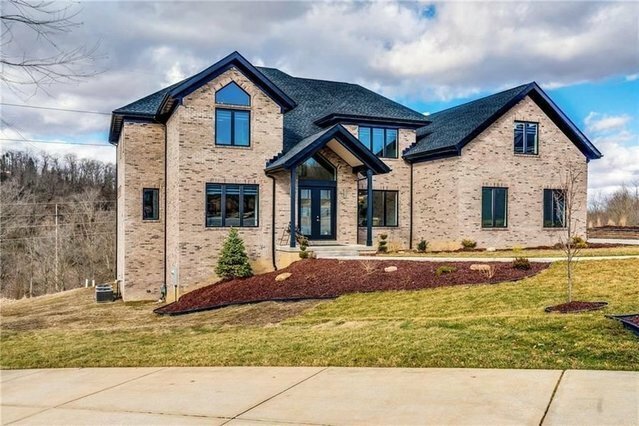 Stunning one of a kind, new custom built contemporary home, over 5,400 square feet. Featuring custom craftsmanship and incredible extra quality items such as all wood doors, 10-foot ceilings, 6 zones for HVAC, and bamboo wood flooring.Dramatic two-story entryway with glass handrail staircase leads two-story great room with wall of windows overlook flat backyard. On the focus wall of the great room is a 60 inch Linear fireplace with different colors. This home has two laundry rooms, mudroom, theater room, full basement with finished and unfinished space, exercise room, two master suites, flat driveway and walkway. An unfinished basement room that could be used for indoor hockey play, putting green,storage.Neutral beige and gray tones used throughout the home and use your splash of color. Quiet cul-de-sac in the desirable Dominion w/ pool, clubhouse, playground, tennis and basketball court.